Prominent & Leading Manufacturer from Mumbai, we offer laminated pvc fabrics. We have gained expertise in manufacturing and supplying high quality Laminated PVC Fabrics. These fabrics are typically used typically for making tablecloth, upholstery and other items where water resistance is important for the application. Furthermore, to cater to the diverse requirements of customers, we offer these fabrics in various colors and patterns at industry leading rates. 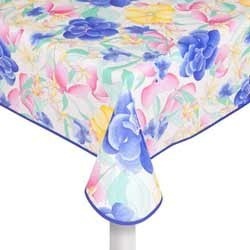 Looking for Laminated PVC Fabric for Table cloth ?